Why do office chairs have to look so "officey". For my taste, I didn't really care for any of them. 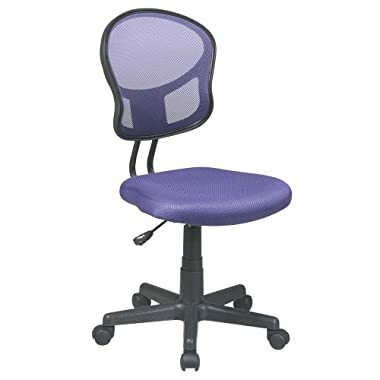 Wouldn't it be great if you could take an old office chair and attach a regular dining chair seat in place of the seat it comes with? Barring that, I guess I'd go with the first one. It looks the least "officey". I like the look of the green chair, but the one with the fur covered seat looks so cozy, especially for the cold weather that's coming our way. I'm with Tru, they all look so industrial. I prefer a warmer, comfy-ier chair that I'll be in for hours on end getting my craft-y on. :) I hope you find exactly what you're looking for! The green one is super modern and so fun! Your sewing station is amazing - well done! Good luck on finding the perfect chair! I'm a more vintage ot traditional type person myself. I will have to admit I did like the green one, great lines. Thanks for visiting. Cool chairs! I really like the green chair and the one with the mesh backing! Good luck finding that perfect chair! i need a new chair, but not for the office. for my nonexistent craft/laundry room. one with wheels could work, since it won't be carpeted. but i'm going to try and redo one. we will see, lol! If I were to choose from these chairs, the very first black chair would be my pick. I think it is the most comfortable chair. It looks soft, and the best part is it has an arm rest. Thank you for providing the details regarding brownish set chair.You provided me a very reliable details.I fully read your blog,it has very exciting details,i really experienced it.Really wonderful. Thanks for sharing this collection of office chairs. I liked the mesh executive office chair. It looks pretty comfortable. Keep sharing more information about office furniture solutions. Wow theses chairs look so classy and comfy. 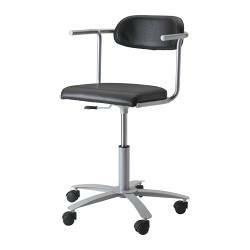 But you might want to checkout Okamura Office Chairs too! Good ideas you have here. This will help you become more productive. I'm sure this'll be helpful for Clock in Ayala. Thanks for sharing! companies in USA.We have online furniture stores USA.Call Center Furniture USA. Loving these great finds. Sure they are as comfortable as how lovely they look.